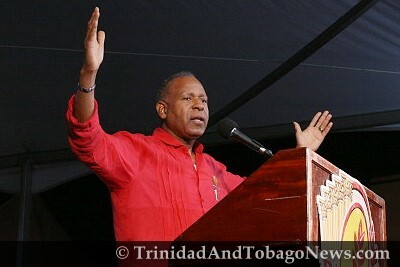 Published on April 15, 2010 in Elections, General T&T, Law, Media, PNM, Politics, UDeCOTT and UNC. 2 Comments Tags: Basdeo Panday, Calypso, Jack Warner, Kamla Persad-Bissessar, Keith Rowley, Patrick Manning, Pennelope Beckles, Politics, T&T Govt. PRESIDENT of the Trinidad and Tobago Chamber of Industry and Commerce (TTCIC) Angella Persad yesterday urged Prime Minister Patrick Manning to announce the date of the general election “as soon as possible” as she warned that uncertainty over the date is affecting private sector investment.